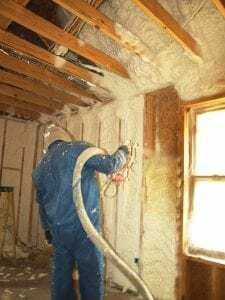 When it’s time to have the insulation in your Hickory, North Carolina, home replaced, you can trust the team at 31-W to get the job done right. For more than 40 years we’ve provided homeowners all across the nation with professional services and top-of-the-line products from industry-leading manufacturers such as: Owens Corning, CertainTeed, Tytan Foam Sealants, and more. If there are areas of your home that are drafty, or if you notice large temperature differences between rooms, there is a good chance you need to either have more insulation installed, or have your existing insulation replaced. Either way, one of our skilled technicians will be able to perform an inspection to determine your insulation needs. What’s more, our experienced technicians will work with diligence and discretion during both the inspection and the installation, to minimize any disruption to your family’s daily routine. Once your new insulation is installed, you can begin enjoying the many benefits, such as a more consistent and comfortable interior temperature, less exterior noise, and possibly a reduction in your monthly heating and cooling costs. To learn more about working with 31-W for your home insulation needs, contact us today. We proudly serve homeowners in Hickory, North Carolina, and surrounding areas.